Werk-Brau manufactures all attachments to O.E.M. specs for all makes and models of mini-excavators and backhoes. Werk-Brau's Ripper is specifically engineered to pre-rip frozen ground, pavement, or other tough soil that exceeds a bucket's recommended duty. 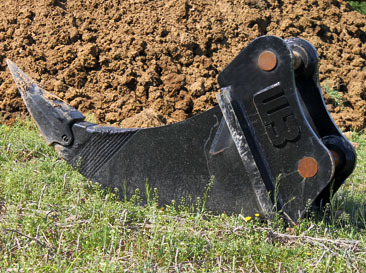 This highly versatile attachment can also be used to remove stumps, roots, or re-bar. 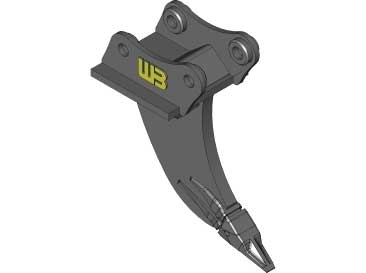 The Ripper's single point tooth style is ideal for penetration of various tough environments. Werk-Brau uses T-1 steel in all critical or high wear components to ensure that the ripper has a long operation life. The ripper body is supported by rigid gussets for extra rugged applications. 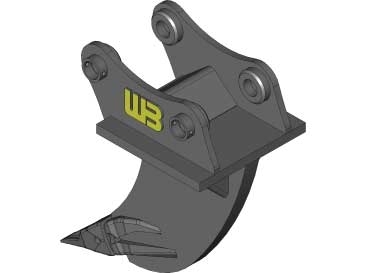 The upper gussets, and shank are designed for heavy duty applications in tough working conditions. A single point tooth is used to maximize the machine's penetrating power. A selection of high quality brands are available to choose from. A selection of sizes are available to match each machine. Dual ripper styles available. Different teeth available. 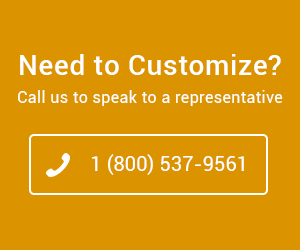 Special designs are available, please request a quote from a Dealer or contact Werk-Brau directly.